This liberating book shows us that examining our attitudes toward money—earning it, spending it, and giving it away—offers surprising insight into our lives. Through personal stories and practical advice, Lynne Twist asks us to discover our relationship with money, understand how we use it, and by assessing our core human values, align our relationship with it to our desired goals. In doing so, we can transform our lives. 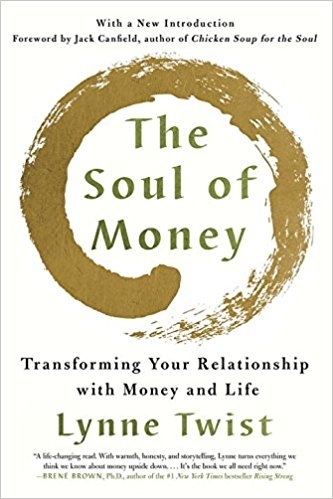 The Soul of Money now includes a foreword from Jack Canfield and a new introduction by Lynne Twist, in which she explores the effects of the Great Recession and environmental concerns about our monetary needs and aims.